Phasefocus is the proud recipient of a 2017 Microscopy Today Innovation Award for its Livecyte® Kinetic Cytometer system. 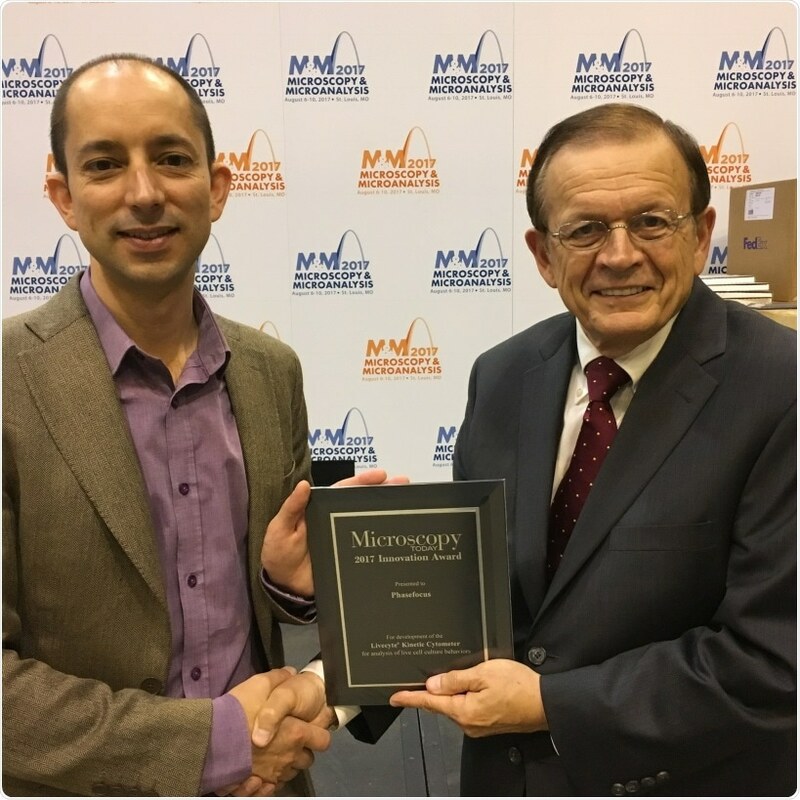 The award was presented to Dr Martin Humphry, CEO, at the Microscopy and Microanalysis 2017 meeting in St. Louis, Missouri on Wednesday 9th August, 2017. These prestigious awards recognise the top ten innovations which advance microscopy and microanalysis, delivering improvements in performance, flexibility and ease of use. Livecyte enables quantitative label free live cell analysis of single and multiple cell types in heterogeneous cell populations using ptychographic quantitative phase imaging (QPI). The low level of illumination required by the Livecyte system provides a gentle experimental environment which mimics the behaviour of cells in “real life” making it suitable for analysing more clinically and physiologically relevant primary and stem cell populations, alongside traditional cell assays. This new technology lends itself to a wide variety of applications ranging from wound healing to drug discovery and the emerging field of personalised medicine.